Yoga is an ancient discipline. Through the ages, many Gurus have contributed to preserving and disseminating the discipline. 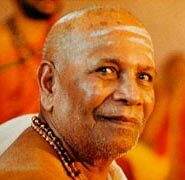 Sri K. Pattabhi Jois, (born in 1915) has shared his knowledge with students from around the world including USA, Australia, Canada, Europe, Japan, New Zealand, South America and Malaysia. 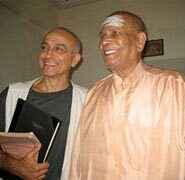 Sri K. Pattabhi Jois, or Guruji as affectionately known by his students, has an impressive curriculum vitae. 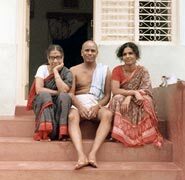 In 1927, at the age of 12, till 1945 Guruji studied yoga with the great Master Sri T. Krishnamacharya. From a young age his devotion to yoga brought him to practice the asana on a daily basis and to study the Sanskrit Sahitya Veda Vedanta at Maharaja Sanskrit College in Mysore, giving him the privilege to follow the readings of the original Sanskrit text by Pantajali Yogadarshana, Hathayoga Pradeepika, Gerandasamhita, Suutasamhlta and Yogayagnavalkya. In 1937 he graduated in Vidwan and was nominated Professor and Head of the Yoga Department at the Maharaja Sanskrit College, Mysore, position he kept till 1973. In 1945 he was honoured with the title Yogasana Visharada. In 1948 he founded the Ashtanga Yoga Research Institute with the aim to practice and experiment the healing effects of yoga as described in the ancient texts. From 1976 to 1978 he was a honorary Yoga Professor at the Government College of Indian Medicine. Sri K. Pattabhi Jois is primarily known for his teaching of Ashtanga Vinyasa Yoga, a method based on Vinyasa (the system of breathing through movement). This method appears in the ancient Sanskrit text Yoga Korunta that Sri K. Pattabhi Jois, together with his teacher Sri T. Krishnamacharya, decoded, examined and studied.